Tired of aged skin, but hesitant about the cost and discomfort of face lift surgery? Hope Island Beauty and Medispa have the solution. Our non-surgical face lift treatment is a no-downtime, no pain procedure for toning and tightening sagging skin on the brows, lower face, jawline, neck and body. Our non-surgical face lift treatment is a multi-stepped process. First, we start with an initial consultation to discuss the right plan for you. Once we have scheduled you in for a non-surgical face lift, we will ensure that your skin is primed for the treatment. We begin with a double cleanse, followed by a mild ADH peel and microdermabrasion to clean out your pores. After this, you are read to undergo the main radio therapy treatment. 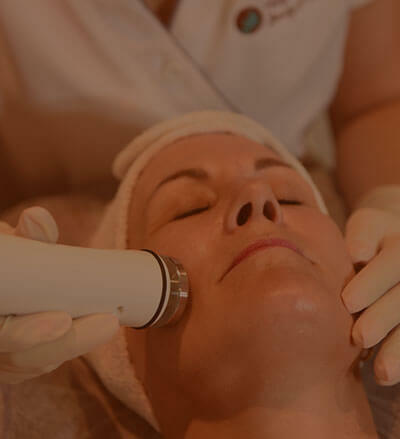 This process stimulates the production of your own natural collagen to reverse the signs of ageing and gravity, restoring an overall more youthful look. With no down time and minimal discomfort, this is a great alternative to surgery. For best results, it is recommended that at least 6 treatments be administered between 2 and 4 weeks apart. Older, more sun damaged skin may require more treatments to obtain the desired results. We also recommend good dietary habits, sufficient intake of liquids and light physical activity are adhered to for optimum results. Increased fluid intake 24 hours pre and post treatment is highly recommended to obtain the best results. A non-surgical face lift is great way to combat the notable signs of aging, by correcting skin elasticity, muscle tone and wrinkles. So, if you want a face lift without the surgery, contact Hope Island Beauty and Medispa. You can schedule a non-surgical face lift via the phone or our online booking service.